The Mazatapec magic mushroom strain is named after the Mazateca region and the people where magic mushrooms where semi-officially introduced to the western world. Mazatapec mushrooms are rather pale in color but grow very tall with bell shaped hats. The Mazatapec magic mushroom grow kit fruits a bit slower than other cubensis, but the yields are enormous. Great for beginners, celebrated by experienced psychonauts. *some strains produce more flushes than others. The first three flushes are the largest. The Psilocybe cubensis MycoMate® Mazatapec Magic Mushroom grow kit is slightly different than the grow kits you might have used before. This is seen only in the substrate recipe and is a secret not just shared with everyone. Not even with us! Just like the previous and other easy grow kits, you do not need to use additional spores. During the laboratory process, the spores have developed into mycelium inside the substrate (the cake) in the grow box. The mycelium has fully colonized the substrate and is ready to grow mushrooms. It is recommended to start the cultivation process right away. If you decide to start growing later, you may store the grow kit in the refrigerator (2°C to 8°C) for 2 weeks. First, wrap the grow kit in a plastic shopping bag and close it well. 1x paperclip – For closing the grow bag. Clean environment – Work clean to give other fungi and bacteria (micro organisms) no chance to contaminate. Close any open windows. Wind or draft may bring microorganisms that can contaminate the Psilocybe cubensis 'Mazatapec' Magic Mushroom grow kit. When taking out the grow box with the cake from the carton box, put it on a disinfected surface. If this surface would not be clean, microorganisms may attach to the grow box and will flourish inside the Psilocybe cubensis 'Mazatapec' Magic Mushroom grow kit and will contaminate the grow box. Make sure you work with clean hands and arms. We recommend using surgical gloves or a good disinfectant when handling the kit. You should use a facemask to avoid breathing into the grow bag and on the cake. Fill the box with fresh, potable water. Close the grow box well and let it soak for 12 hours. After 12 hours, pour the surplus of water out of the grow box. Place the grow box inside the grow bag. The open end of the bag should point upwards. Remove the lid from the grow box. Rinse the lid and store it in the carton box. Fold the open end of grow bag twice; do not cover the micron filter. Place the paperclip on the fold, so the bag stays closed. Now the Psilocybe cubensis 'Mazatapec' Magic Mushroom grow kit is ready to grow. 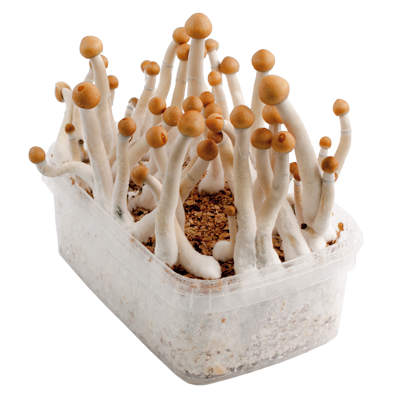 Place the Psilocybe cubensis 'Mazatapec' Magic Mushroom grow kit inside the carton box, on top of the ziploc with lid. Read, download or watch the instructions for the MycoMate® Mazatapec magic mushroom grow kit. The ideal temperature is 24°C. Do not have the temperature drop under 18°C and not exceed 29°C. To keep the temperature from dropping under the 18°C, you can use a Thermo Heatingmat to maintain the ideal temperature. A thermo mat is a must-have in the winter or colder regions of the world. The Psilocybe cubensis MycoMate® Mazatapec Magic Mushroom Grow Kit only needs light for the mycelium to ‘understand’ it has reached the surface. Only then, mushrooms will grow. A few hours of fluorescent/artificial light or indirect sunlight a day is more than enough. Direct sunlight kills the mycelium, so avoid the sun to shine directly on the grow kit. The day after you start the process you begin with misting. Open the grow bag by removing the paperclip. Do not spray directly on the cake but spray one time against every side of the bag. So you mist once a day, four sprays. Misting also vents fresh oxygen inside the bag. Right after misting, close the bag again with the paperclip. If the conditions are optimal, you can expect the first small mushrooms (the pins) to appear between 5 and 16 days. This also depends on the strain. Some cubensis strains grow slower than others. The mushrooms come up in groups. This can be a small or large group. That depends on the strain. A growth like this is called a flush. Mushrooms are almost never ripe at the same time. You can get more than one flush out of a kit. The first two flushes are the largest. When more flushes come, they will be smaller than the previous one. Mushrooms are ripe and should be picked when the veil between the hat and the stem has just torn. Don’t wait much longer. Use surgical gloves or disinfect your hands, wrists and arms. Pick the mushrooms that are ripe and let the others continue to grow. Remove the mushrooms from the cake by taking hold of the base of the mushroom between thumb and index finger. Rotating your hand clockwise slowly, until the mushroom lets go. Do not pull out the mushrooms. This would risk damaging the mycelium and killing it. When most of the larger mushrooms have been picked, also pick the smaller ones and the pins as well. Mushrooms grow where the light reaches and where there is little penetrating resistance. Because the cake has light shining on the sides, the mushrooms might also grow there. It is hard to counter this and can be allowed. Some growers wrap the sides of the grow box in aluminum foil to keep the sides dark, but this doesn’t always work well. Clean hands! Take the grow box out of the bag and place it upside down on your other hand. Wiggle the plastic box so that the cake will fall out, onto your hand. The plastic box can be placed on a disinfectant surface. Now you have this hand free to pick the mushrooms from the sides of the cake. When all mushrooms are picked, you can place the cake back as it was, in the plastic box and continue to the soaking process. After all the mushrooms have been picked, you prepare the kit for the next flush. Again, with disinfected hands or gloves; take the grow box out of the grow bag. Fill the box with fresh, potable water. Take the lid out of the ziploc bag and use it to close the grow box. Place the closed grow box in a soaking Bag or use your own clean plastic shopping bag and wrap it around the box. Close it well and place this in a refrigerator (2°C to 8°C) for 12 hours. This is called the soaking process. Water will now soak through the cake, preparing it for the next flush. During the soaking you can hang the grow bag with micronfilter upside down to dry. Make sure to hang it upside down, so no microorganisms will access the bag. Many growers prefer to use new and unused grow bags after every flush. After 12 hours take the soaking Bag with the grow box, out from the fridge and unpack it. To continue, follow the same steps 3 – 7 as before when you started the process for the first time. Several days later, a new flush will appear. You can get at least 2 or 3 flushes out of a Psilocybe cubensis 'Mazatapec' Magic mushroom grow kit. If you are experienced in cultivating, you can get more flushes out of a kit. When no more mushrooms grow out of a grow kit after the second flush for at least three weeks, or when the Psilocybe cubensis 'Mazatapec' Magic Mushroom grow kit turns green, red, grey or yellow; the grow kit can be disposed of. The change in color is a sign that the grow kit is contaminated with another fungus or bacteria. 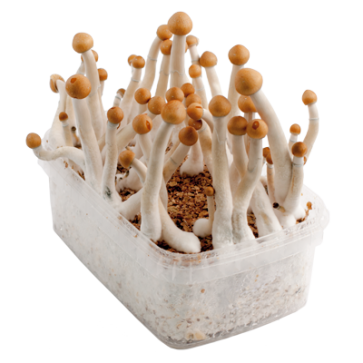 No more mushrooms will grow out of the Psilocybe cubensis 'Mazatapec' Magic mushroom grow kit and the grow kit should be thrown away in the garbage outside. When you are too late picking the mushrooms, they will drop their spores. The cake and the mushrooms will turn black/purple (some other cubensis strains red/brown) because of the spores. This is not really a problem; it just doesn’t look very pretty. When mushrooms release their spores, they also start to degrade, and the active ingredients are breaking down. Mushrooms will lose some of their potency. Check out the responsible use page for more information on do’s and don’ts. This kit is meant for small-scale home use only. Delivery was fast and support great. This is my first kit and I'm very satisfied with it. I had three flushes already and going for the fourth one. And all ware very solid - around 150 g each. Magic-mushrooms-shop.com knows what they are doing! All the mycelium boxes I've ordered from them has been great, and the latest 2 boxes of Mexican was excellent. They were for the awesome annual New Years Trip (there's nothing like fireworks while tripping!!! ), and they delivered what you would expect and more. Payment and delivery: great service. Growing: kits better than ever. Several solid flushes. Effects: what you would expect if you've tried them before. If you want to trip for the first time - they are easy, playful and euphoric. Listen to music, dance, let loose and have soft things around. 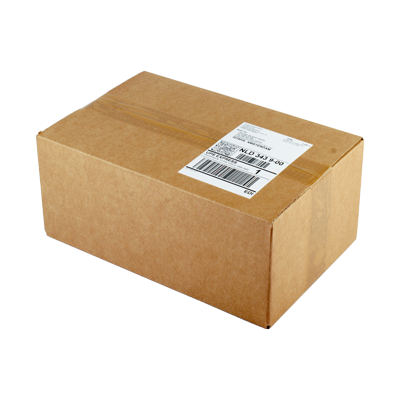 This product has shipping limitations. See the additional information to find out where we don't ship. When you place an order you declare that you are aware of the legal status of the ordered product(s) in your country and that you are allowed to receive and posses these. The use of magic mushrooms is at your own risk, so make sure to be well informed about the use and their effects. The price does not include shipment.